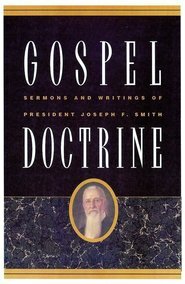 Doctrines of Salvation, Volume I-3, is an authoritative work, written by the most outstanding scholar of the gospel in the Church containing a wealth of explanations about a vast array of gospel topics, many of which can not be found in other sources. Add an authoritative source on issues frequently discussed today: What was the nature of our life in the pre-existence and what was it’s purpose? What is the true story of creation? What is the age of the earth? Can the theory of evolution harmonize with the Gospel? Do we believe in the Adam-God theory? What is the role of Adam in the plan of salvation? How does the fall of the first man affects our salvation? What are the requirements of the Divine Law of Witnesses? Why are there always two people present when the Priesthood and it's keys were restored? Why were two martyrs slain in this dispensation? What is the difference between the Holy Spirit and the Spirit of God? How can one distinguish between true and false revelation? 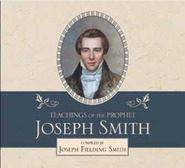 Explore these fascinating topics, plus many more, from the writings of Joseph Fielding Smith compiled by Elder Bruce R. McConkie. When I was set apart for my mission at the MTC I was counseled to obtain, study and teach from these books. I ended up finding a set that was exceptionally old but I was elated to find them. I was astonished at how many doctrinal truths are PLAINLY explained while to others they remain mysteries. Your testimony will grow so much as you prayerfully read these books and your faith will become more potent like the proverbial mustard seed. So if you are a sincere seeker of truth plainly stated, this is the next set for you in your journey back to God. Wonderful books! I highly recommend them. The book says it all. Be prepared to have all aspects of your life changed, temporally and spiritually. Not just now and the near future, but for eternity. Our beloved prophet definitely had the gift of revelation while delivering these sermons. And, he does it with intelligent language: not to the extent of Elder McConkie, but he conveys the messages as clearly and lovingly as President Kimball. But, very easy to understand when studied prayerfully. This book will set your journey through mortality firmly fixed on eternal life with our Father in Heaven. The three books in the Doctrines of Salvation series are directed toward a serious student of the Gospel who enjoys pondering the scriptures. These books are excellent. I remember eagerly purchasing and reading from them quite a few years back. It was delightful to find the truths of the gospel expressed and expounded upon so clearly and beautifully and misunderstandings so nicely corrected. If you want to understand the gospel of Jesus Christ, these are excellent books. 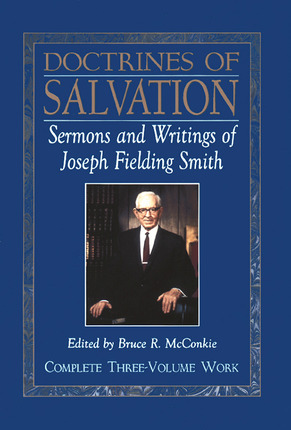 This series of works by Joseph Fielding Smith seemed to be rather confusing and did not line up with the truths of historic Judeo-Christian faith. The teaching that man can become god's, that the God was once a man, of eternal progression, etc. can be found nowhere in the Bible. 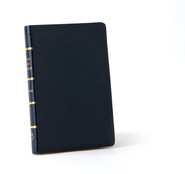 A wonderful reference book, to help with many things! This book is excellent. 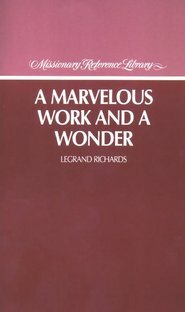 My husband and I have enjoyed reading sections at night and using it for talks and sunday school lessons. It has been a great book to add to our libray, as it's never on the shelf. It has helped me learn more about the Gospel and made it easier to share it with others.